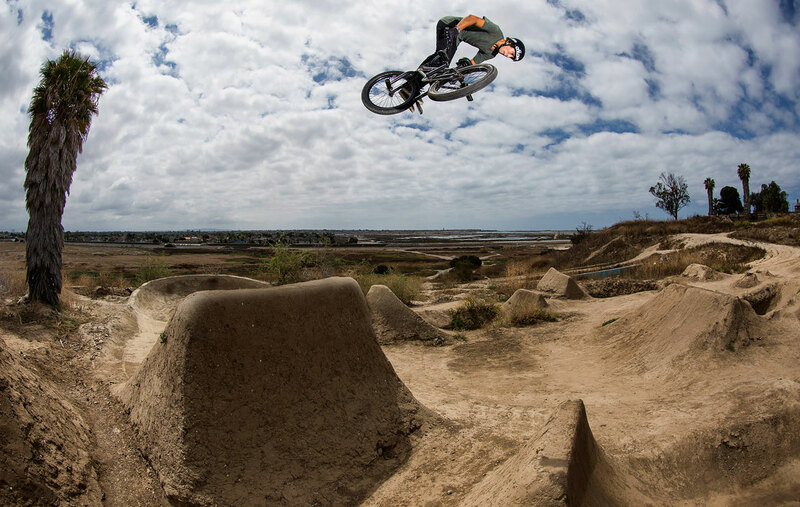 Colony, Epic Bmx, Ethika, Gloryfy Eyewear. I’ve been riding for a little over 8 years. However, with the injures taking me out along the way… I’ve been on it for 5 years running! What got me interested in riding bikes was when a Bmx stunt team came to my elementary school. From that point on I was hooked! My biggest influences in Bmx have to go to these awesome humans below.. Alfredo Mancuso, Phu Vu, and Ryan Guettler. At a young age “Alf” would check me out of middle/high school to take me riding. He had showed me endless spots to ride. This had enticed me to continue traveling. Phu Vu is proud owner of Epic Bmx bike shop. I consider Phu as not only a mentor but one of my best friends. He has supported me since I was a grom. Lastly, Ryan Guettler. Looking back at my childhood this guy was the reason why I wanted to pursue riding Bmx. Innovating new tricks and combining them in a single run blew my mind. Stoked on all these dudes! I’m Currently living Huntington Beach Ca. Though I grew up in the neighboring city called Fountain Valley. A regular Saturday consists of a morning session down at the Wetland trails, then maybe a cruise through Westminster Liberty park. To seal the good times, a boardwalk ride with a Cali sunset. I work part time at Epic Bmx. There I perform sales, part inventory and Social Media PR. Along side the shop, I coordinate performing Bmx Shows. I also work in Hollywood exposing BMX to commercial jobs. Top three places I’ve ridden over the years would have to be Joy Ride 150 (Canada), YMCA Claremont (San Diego) and the Incline Club (New Jersey). My local Scene around Orange County is always up to something, whether we ride street with Ross Lanier, to take a drive up to Chino park to ride some bowls with Kris Fox to even to doing kick out’s at the Trails with Ricky Mosley, Anthony Napolitan and Ryan Guettler. Local scene is motivated and growing stronger everyday. Riding is a addiction… I love the way tires sound when bouncing off the coping or the feeling of floating a 360 over a dirt set. Those feelings is what motivates me to want more ride time. Favorite place I’ve traveled to would have to be Costa Rica. Good people over there. Very welcoming, good vibes. Acaí banzai bowls and steaks! Any music with a good beat! Dig the Black Keys. This question took me the longest to Answer. I went down the list of Colony products while starring at my bike.. I couldn’t pin point just one particular product seeing as all the products are so on point! What has Bmx taught me? Bmx itself hasn’t taught me but Bmx has taken me to places and introduced me to amazing people that have taught me life changing lessions. I had the opportunity to meet childhood legends, such as Clint Millar, Keith Treanor, Robert Castillo, Brian Castillo, Toby Henderson, Malcolm McCassy and Phu Vu. All these people showed me the in’s and out of the BMX industry other than riding which consist of manufacturing, Distributing, retail, PR to performing shows. Staying humble and respect others. I like to give a big thanks to my sponsors: Clint Millar here Colony, Phu Vu at Epic Bmx, Malcolm McCassy at Ethika and Claudio Blassnig at Gloryfy Eyewear for supporting me in my endeavors. I also like to thank all the people who enjoy watching BMX and appreciate our sport. Thanks you guys are awesome. All photos courtesy of Andre Magarao.